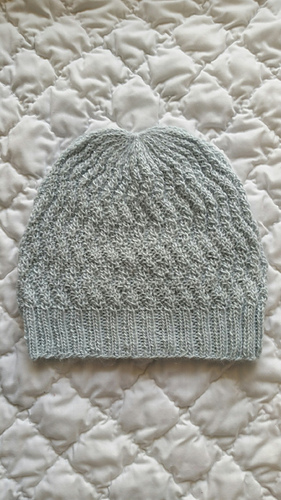 Quick decreases and an easy to remember pattern help make this hat perfect for charity knitting. 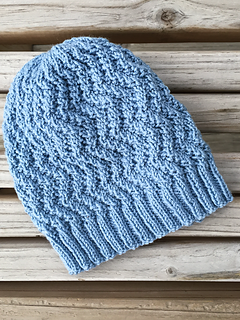 The design works well for men and women, and for kids of all ages, which means you can donate your finished hats to a wide variety of charities. Each finished hat becomes a tiny drop in the ocean of change, creating a ripple effect of love! 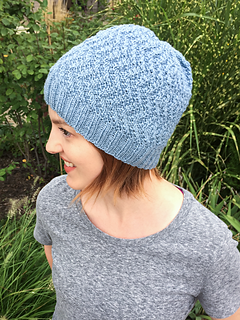 Read Robyn’s inspiring 10,000 hats journey! Gauge: 24 sts to 4” in garter stitch after blocking.